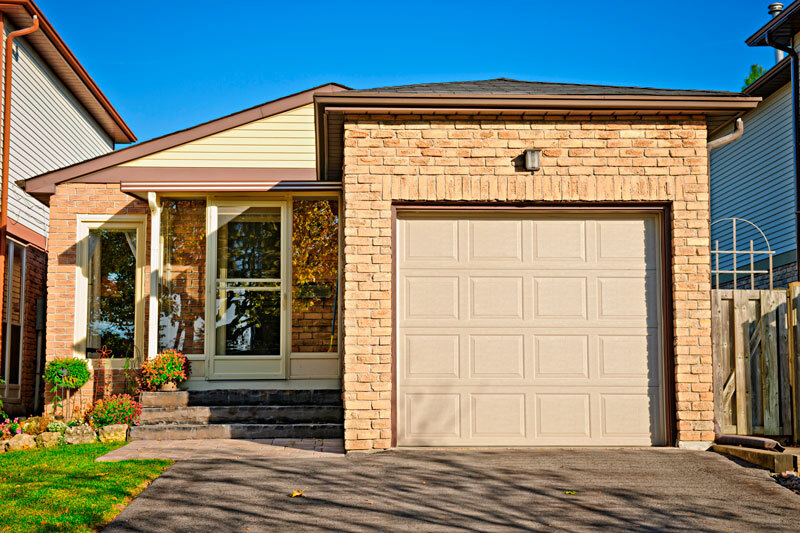 When deciding on a new garage door, homeowners have several options to consider. You need to choose a material to complement your house. You’ll also want to think about price, durability and ease of maintenance. Steel doors are one of the most popular choices for garage door replacements in Vancouver. A steel door is a great choice for wet climates such as we have in the Pacific Northwest. Steel doors are typically less expensive than wood doors. The life expectancy of a steel door is also significantly longer than a wood one. If your house was designed with wood garage doors, consider a steel garage door with a finish that looks like wood. Designs and finishes have come a long way in the past few years. A steel door with a faux finish is a good alternative to real wood. These lookalikes allow you match your home’s original design and aesthetic while increasing the longevity and reducing the maintenance of your new door. Another benefit of steel garage doors is their ability to handle the elements will little maintenance. A garage door faces the elements every day. Rain, heat, humidity, snow and wind take a toll on all doors, but especially on wood. Steel doors don’t swell or rot from moisture. In contrast, a wooden garage door requires maintenance every couple of years. Refinishing and painting will be needed. Swelling can strain the components of the opener as the door sticks when opening or closing. What About Rust and Dents? Do steel garage doors rust? Some newer doors come with a rust resistant finish. Doors can be treated with a polyester coating that prevents rust. Should you have a steel door that wasn’t treated, even a door that hasn’t been treated requires minimal maintenance. Steel garage doors can have good insulation. An insulated steel door costs less than a comparable insulated wood door. Steel doors aren’t completely maintenance free. They can dent or get scratched. Steel garage doors come in different thicknesses. The sturdier the door, the less likely it is to get scratched. A heavy door may need a stronger opener, however. Steel doors are a great choice, but some people prefer natural wood garage doors. Consider the location of the door, the amount of traffic and the climate in your area when you choose a door. We’ll help you weigh your options when it’s time to choose a new garage door. Ponderosa Garage Doors installs steel, composite and wood garage doors. We can install any style door you prefer. Contact us to learn more about garage door installation.